Dkora is a vintage boutique in Bonita Springs. We are currently working to open our doors in August 2014. 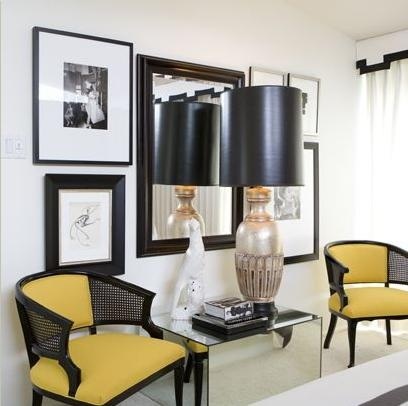 -home accessories from mirror, lamps etc. Después de las fiestas Navideña de haber compartido con los seres queridos y darle un poco de descanso al cuerpo, aquí en The Vintage Lab queremos comenzar el año con el pies derecho. Pero claro que sí, hay que darle espacio a todo lo bueno y estar firmes en nuestras metas y convicciones. Mente positiva y enfocada en esos proyectos que te van a dar frutos, ya sean económicos o satisfacciones personales. Debes tener en cuenta que debes ser considerados ante otros, respetar y valorar aquellos individuos que colaborar para conseguir tus metas. Piensa en el pies derecho antes de tomar alguna decisión. Mis buenos deseos para todos los que visitan mi blog. Feliz Comienzo de Año! Esta mesita que era de color mahogany, la compró mi cuñada con el propósito de usarse informalmente en su sala de ver televisión como mesita de uso individual que acomoda un plato y un vaso. 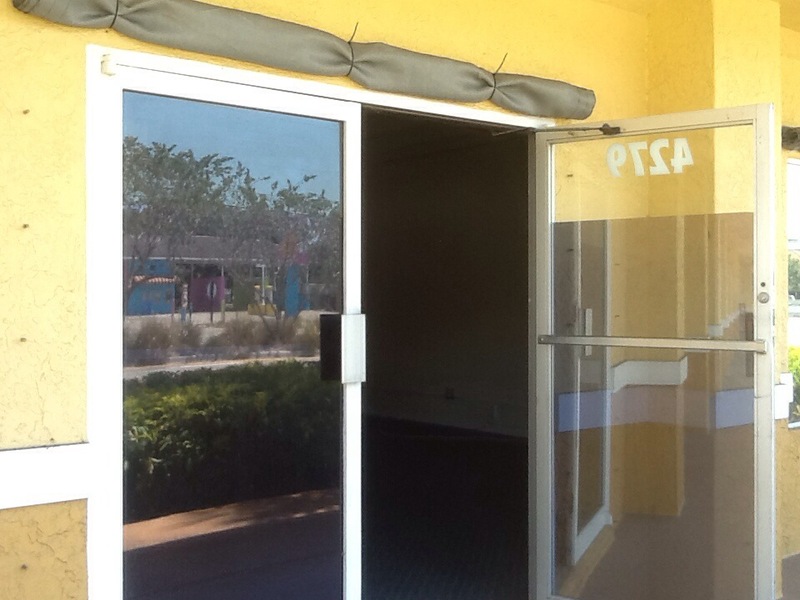 Usé lija para remover el viejo color y se utilizó dos colores de pinturas para la técnica de glazeado. Luego se lijó algunas areas para que se viese gastado (distressed). Luce vintage pero moderna. This year I didn’t use my traditional Christmas tree. 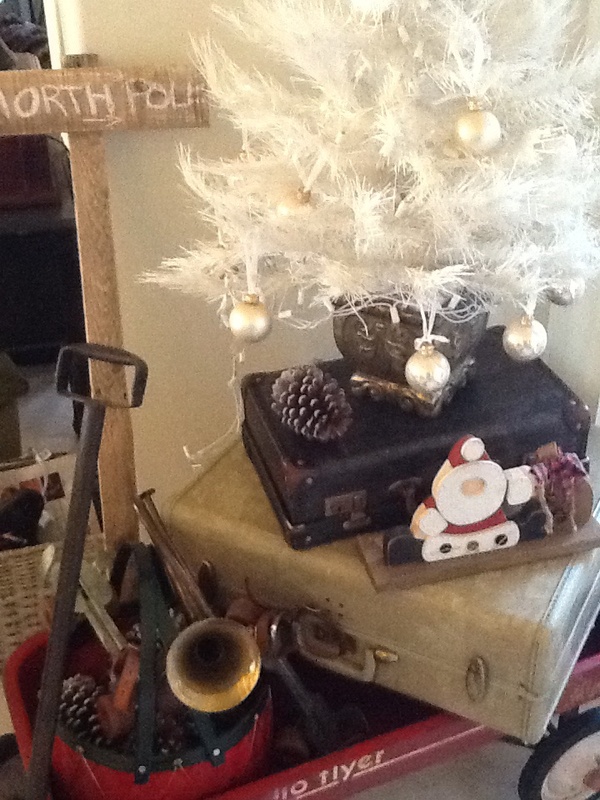 So I decided to create a Christmas vignette. All my Christmas decor was stored out my house. All I had available in the house was this vintage props. Last night I came up with this vignette. The Vintage Lab wish you a Merry Merry Christmas. 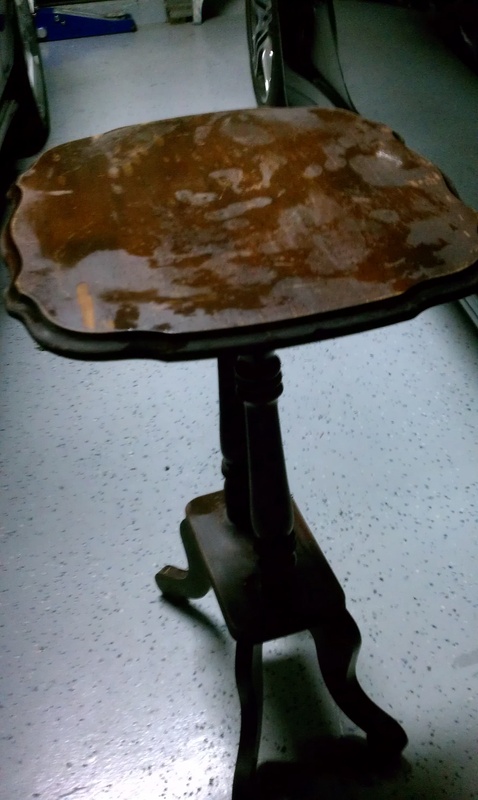 As you can see I love these vintage cane chairs quite a bit.LOL. I was so happy to found the settee/bench. Let me share the before images. 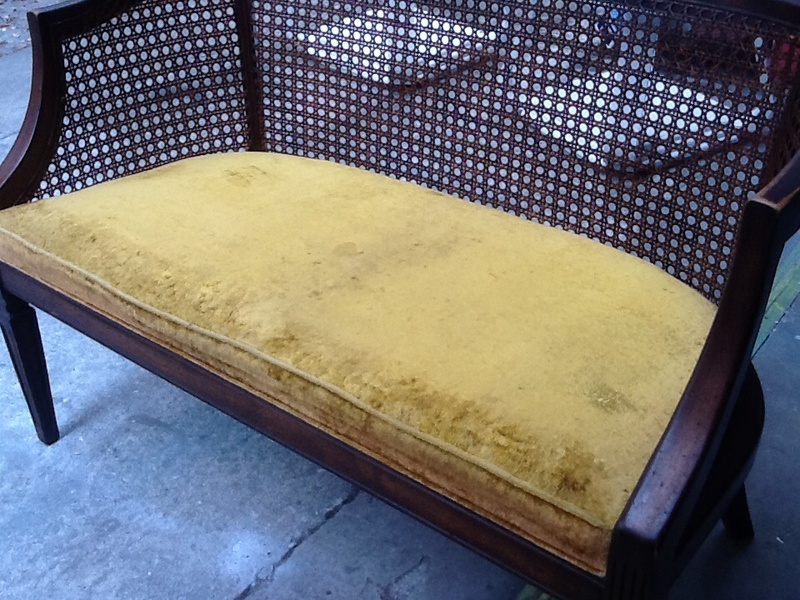 The old velvet fabric was removed and I gave them a good clean. 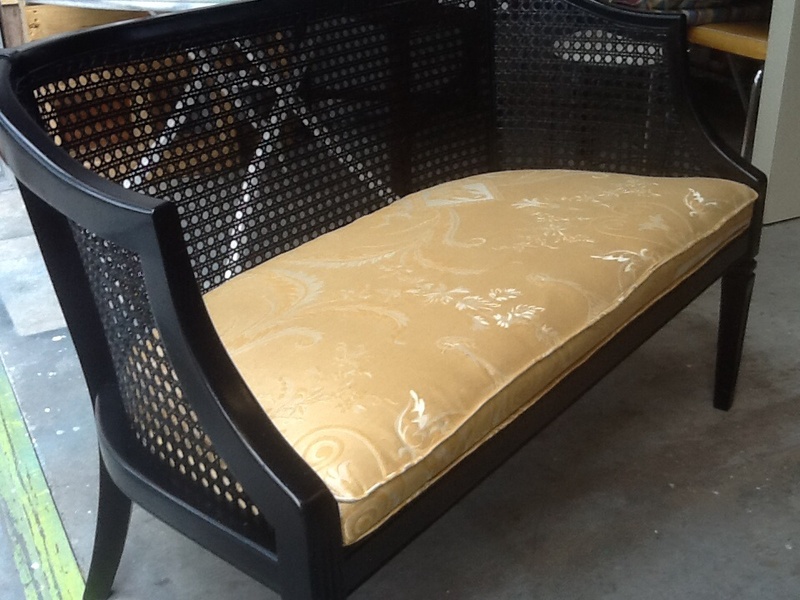 I want to keep the classy style and I used 3 yards (60″ wide) of a beautiful brocade fabric. After surfing the in I came to a conclusion that Hollywood Regency colors was definitely the style I was aiming for. 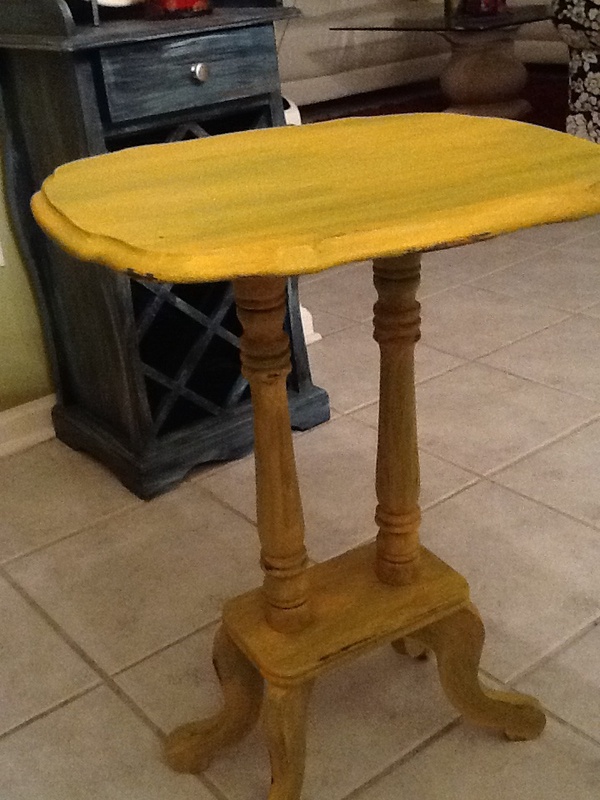 I have used semi gloss spray paint from Rustleoum the primer and paint kind. Above: Here is the inspiration. Below: This is how my settee looks like so far. The chair is still drying but I couldnt resist posting my first picture. I am planning to make some small decorative pillows. Next week you will see the cane chair after is done. we are thankful for our blessings. 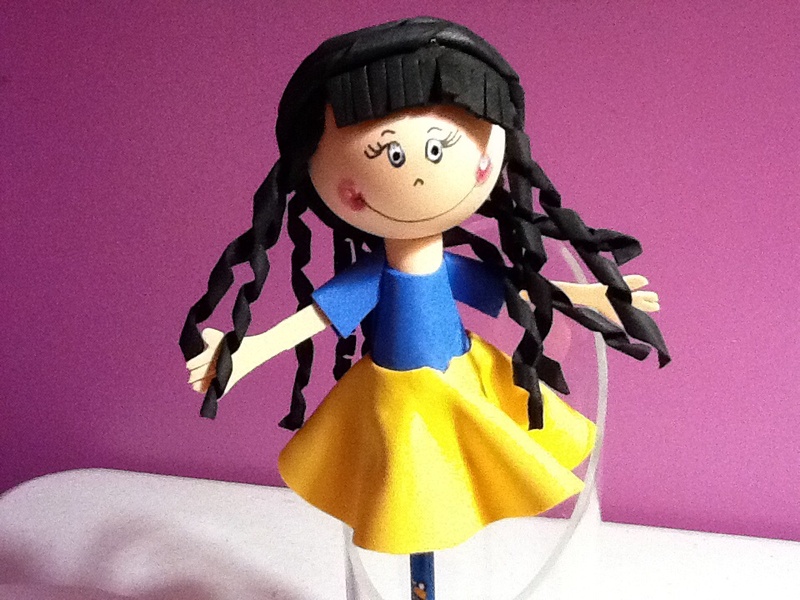 Handmade fofucha. It is a topper that goes on your pencil, gel pen etc. They are also great as cake topper. Sweet Sixteen, Bride and Groom Cake Topper and many others. Available in Naples Fl. E mail me in you want custom order. Extra charge may apply for custom order. 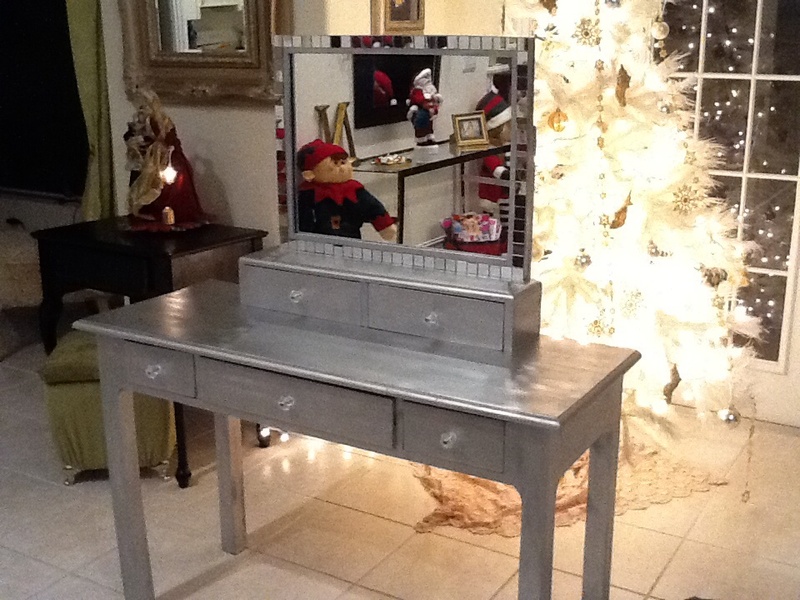 I have always wanted a mirrored furniture. 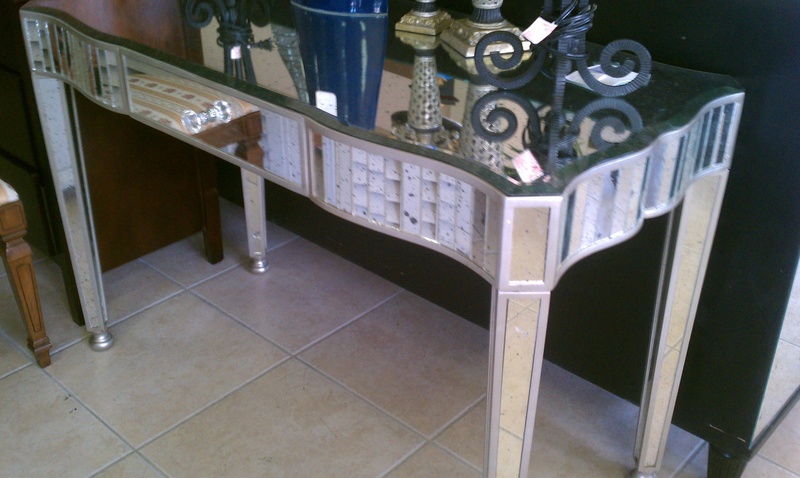 One day I saw this beautiful desk/vanity at a store. I fell in love, it is was so beautiful. But no way I want it to spend high tag price. No this time. I found this mirrored furniture at a store. 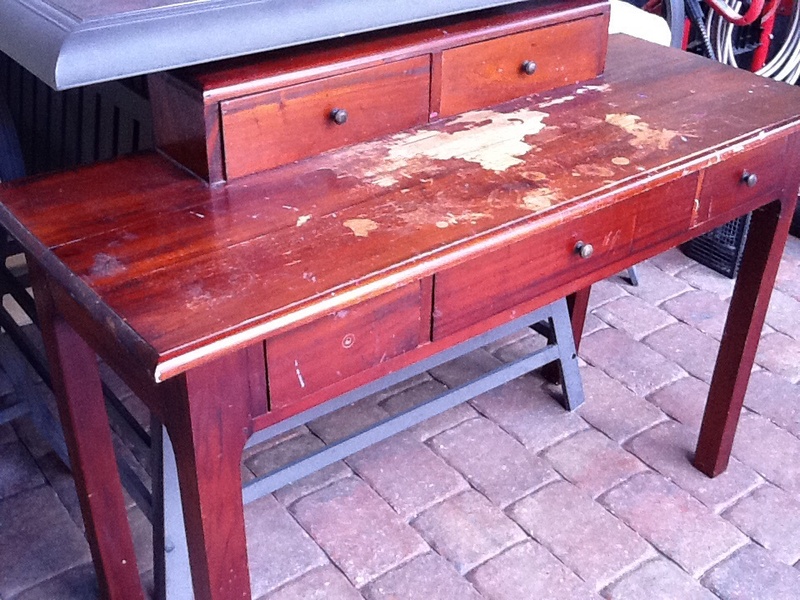 At agarage sale i got this vanity. It was sturdy and all it needed was love. I got plenty of that. It was sanded it, painted it and added craft mirrors. and look at it now. I am in love. 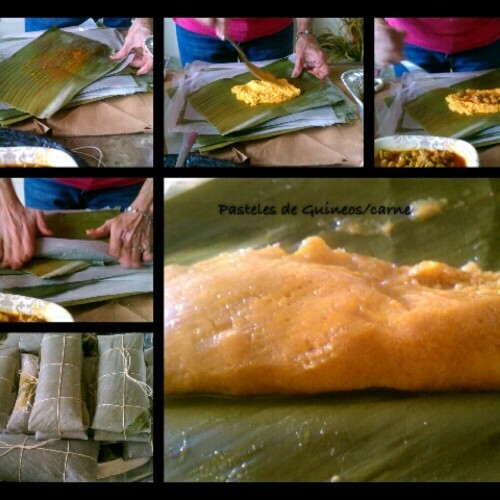 Pasteles de guineo. In the kitchen, the creators of the vintage lab also we prepare for the holidays. It is are custom to prepare those traditional Christmas meals. 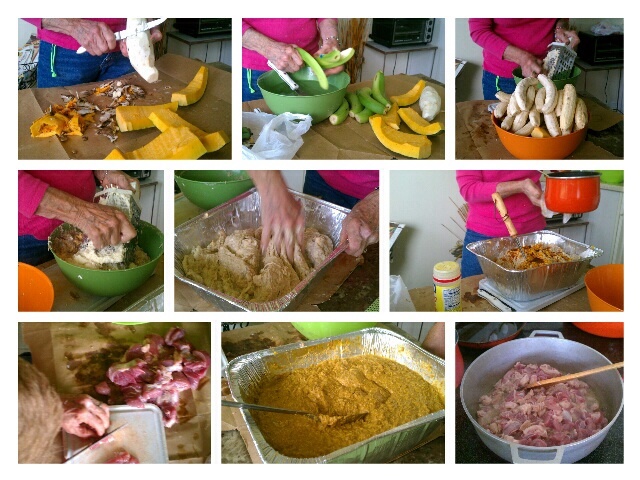 Here are the pictures I took of my mother teaching me step by step; how to make the “pasteles”. They are very tasty and there is no one to compare with mom’s recipe. I hope one day to prepare some on my own. It is a long process but worth it. We wish you Happy Holidays. And to my mom thank you very much for your love and your patience. I love you mommy. Hi. 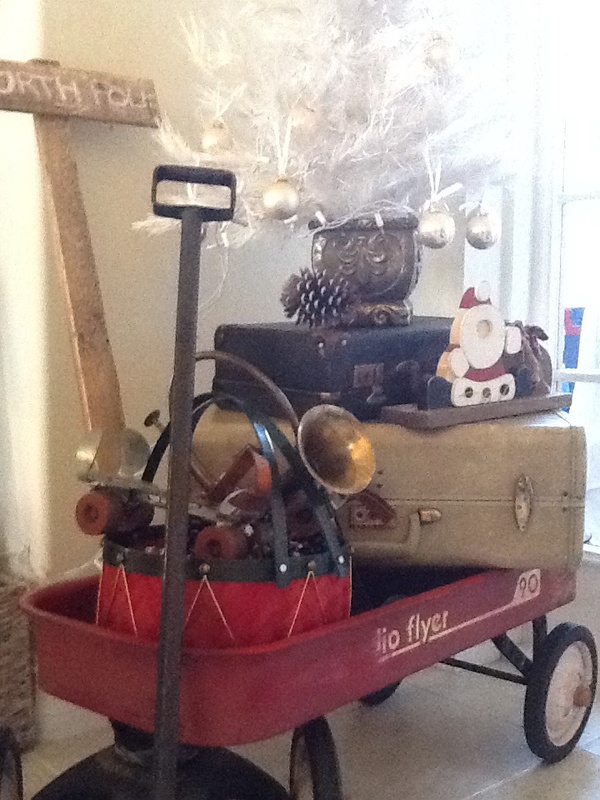 Wow, as the holidays are approaching we are working hard to finish the last projects of the year at The Vintage lab. 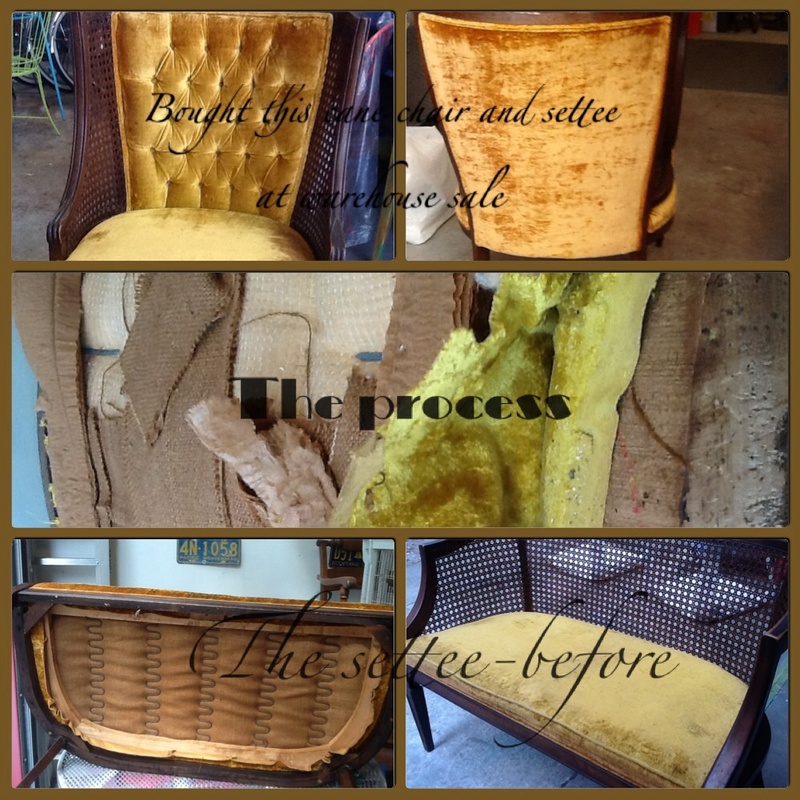 This makeover I am going to name it The Golden Green , it is a cane back chair my husband got a few months ago. See the transformation yourself. Click on image for description. Tufted diamond back, i have reused the buttons from other projects, I painted them gold with fabric paint.